A video shows a local football match kicking off in El Madania, Algeria; another takes us to Cotonou, Benin, to meet an organic farmer feeding his neighbours; next, a small street market in Kaédi, Mauritania. 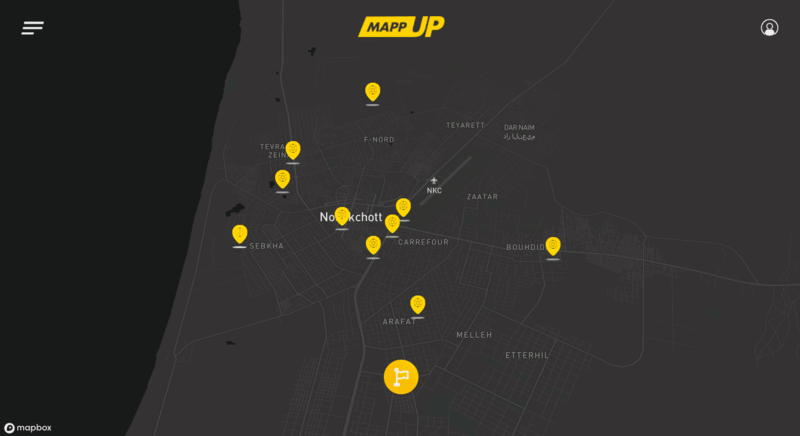 You’re watching Mapp Up, the video-sharing platform changing the face of African media by sharing local stories through local eyes. Not content to let hunger, poverty, war (and giraffes) dominate Africa’s story, budding storytellers are trained to share – and map – the hidden, but much more real, side of Africa. From Algiers to Cape Town, this network of hopeful and honest filmmakers is building a video map of good news stories that shine a bright new light on day-to-day life across the continent. It’s no surprise that two media experts are behind it: Elsa Miske and Nicolas Baillergeau provide the training for people who want to tell the untold positive stories that define their local area. The Paris-based pair met in 2016, and quickly bonded over their shared frustration with the dominant Western view of Africa, as a vast, “vague” continent (or, often, “country”) associated with “corruption and poverty”. Elsa and Nicolas wanted to take action to disrupt the reductive version of African countries that they were seeing in the media – because, Elsa says, “it affects popular belief, and that has effects on the everyday lives of millions of people. A lot of young Africans have a tendency to think their country is bad. We want people to have a good image of themselves so they can love themselves”. While Elsa had a varied background across art, advertising and digital strategy, while Nicolas had worked as a TV reporter. Together they realised they could use their skills to offer a training programme that would give people the tools they needed to tell their own stories. To fund the initial training programmes, Elsa and Nicolas turned to crowdfunding to raise the equivalent of 10,000 euros. 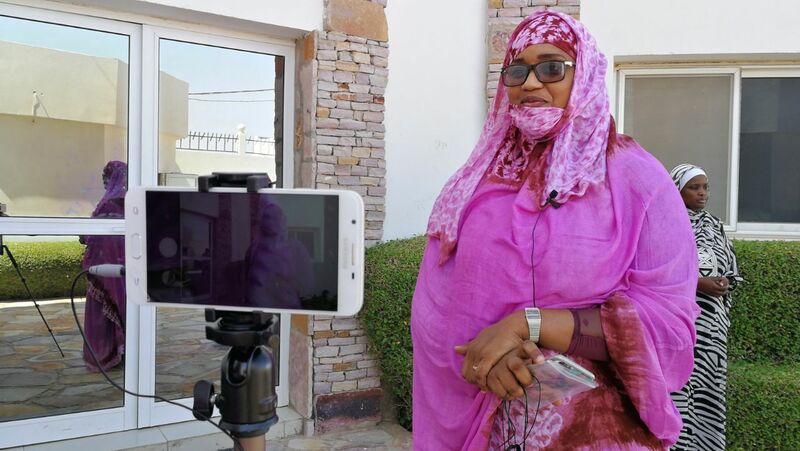 To support their campaign, they worked with Senegalese actress Aïssa Maïga – whose father was a Malian journalist, and inspired her to share an African perspective – to create and promote their web series #LAfriqueDansLesMedias (‘Africa in the media’). 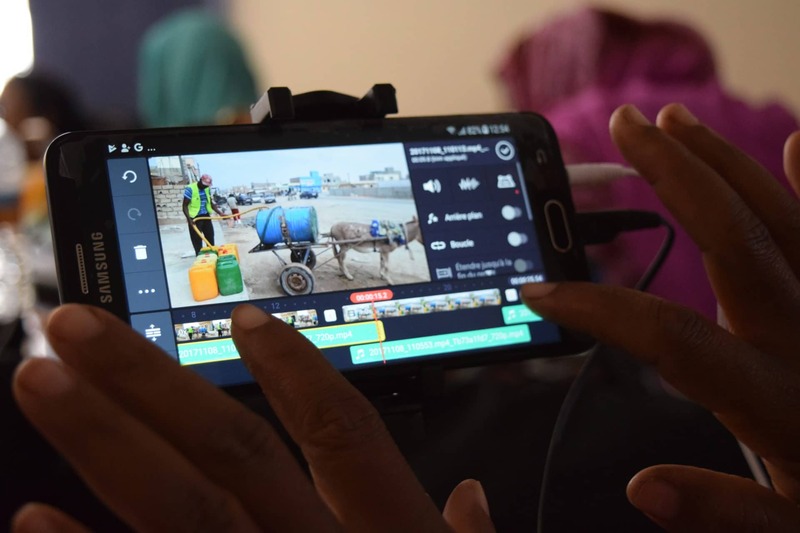 Journalists, authors and academics go on camera to discuss big questions surrounding the future of African media: Why encourage citizen media? Who would you like to see more often in the media? What is the impact of the Internet on African artists? 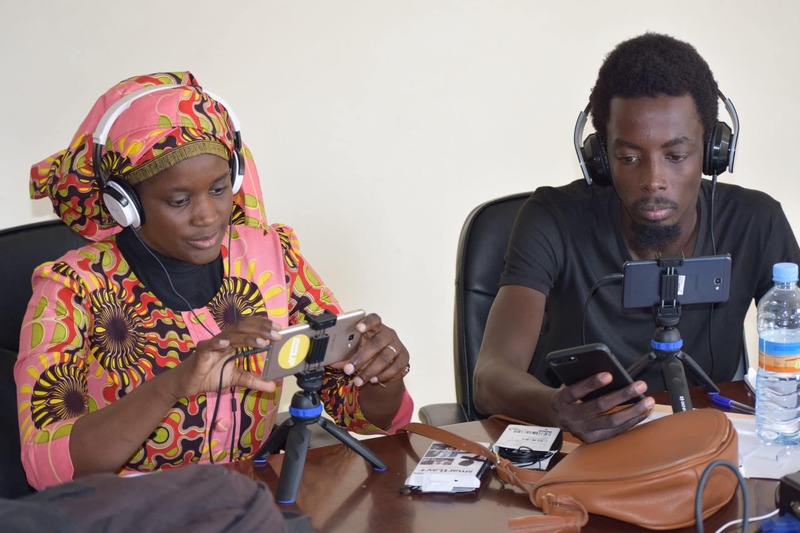 After a successful crowdfund, Elsa and Nicolas have now run free Slice Up training programmes in Mauritania, Mali and Benin, with a total of 30 journalists, bloggers and art students. Stories cover meaningful moments in everyday life, spotlights on positive local projects, and insights into local traditions – summarised as ‘Interviews’, ‘Reports’ and the strangely-mesmerising ‘Ambience’. One video captures people chatting at tables outside an unassuming, but legendary, cafe in Nouakchott, Mauritania, where local intellectuals meet to debate the night away. 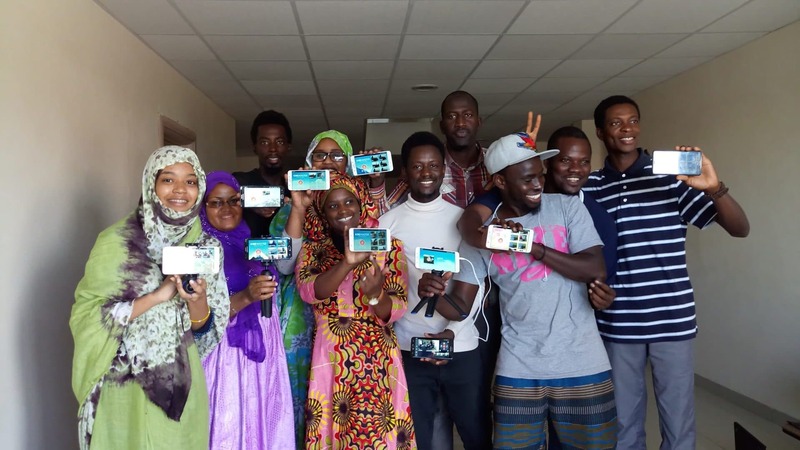 Slice Up trainees’ videos include turtle-saving in Mauritania, a performance of traditional Malian music and dancing, and camel-trekkers in Algeria. One female chef’s celebration of traditional Beninoise cuisine has been shared by more than 700 people and watched nearly 40,000 times. “We didn’t know what effect the videos would have on the people who would watch them, so it’s very interesting to see that it creates identification, pride and motivation. We only want to create positive feelings, so it feels like we’re meeting our goal”. They used OpenStreetMap to geolocate each story that’s uploaded to the platform and display it on a map of Africa. So far, 53 stories have been mapped by a combination of Slice Up trainees and ambassadors in other countries. They paint a colourful, hope-filled picture of life in South Africa, Benin, Mali, Senegal, Mauritania and Algeria. AtlasAction: Submit your own video to be included on the map(p), or get involved in running training sessions by contacting Elsa and Nicolas. Nature-geek, urban forager and all-round wordy sort. Freelance strategist and copywriter for mission-driven organisations. Often found reading while walking. Tags: Africa, Awareness raising, Communication, Community, Crowdsourcing, Culture, CultureFutures, Democracy, DIY, Education, Employment, Empowerment, Film, Identity, Income, Information, Mapping, Media, Platform, Storytelling, Students, The Internet, Women, Youth.